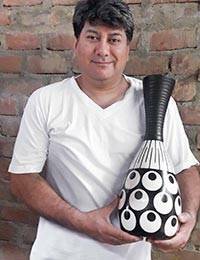 Working in the traditional style of Chulucanas ceramics, Peruvian artisan Jesús Rivas designs and handcrafts this decorative vase. 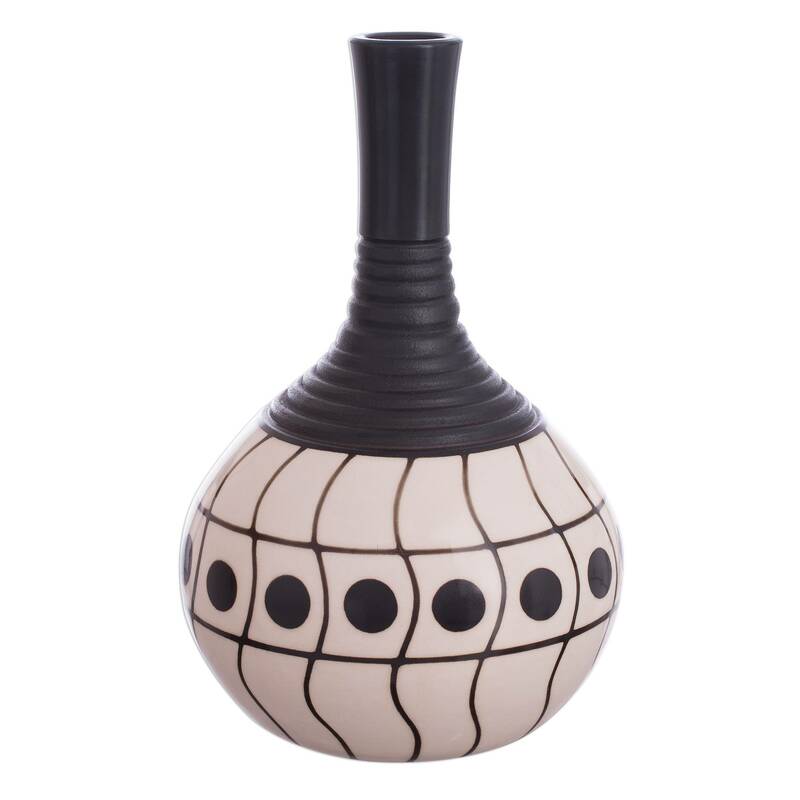 It features a short, rounded body with a tall, slender neck, finished with wave motifs and dots in tones of black and ivory that evoke modern art forms. The black color is achieved by firing the vase with mango tree leaves. On the bottom, the artist inscribes his name, the name of his hometown, and the phrase Hecho a mano (made by hand). 26 cm H x 16 cm Diam. 10.25" H x 6.25" Diam. 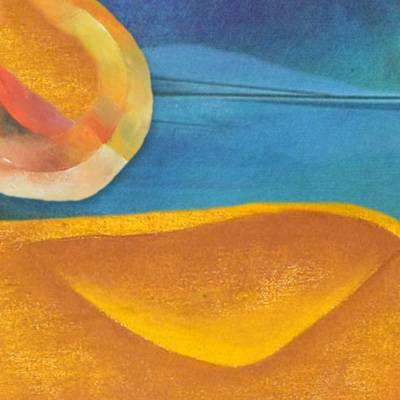 Artfully crafted by Jesus Rivas from Andes.